Pleck art courtesy of listener Hannah Jones! Through months of careful research, our operatives have determined that the single best safeguard against a C.L.I.N.T. vaporization is a good FAIC. 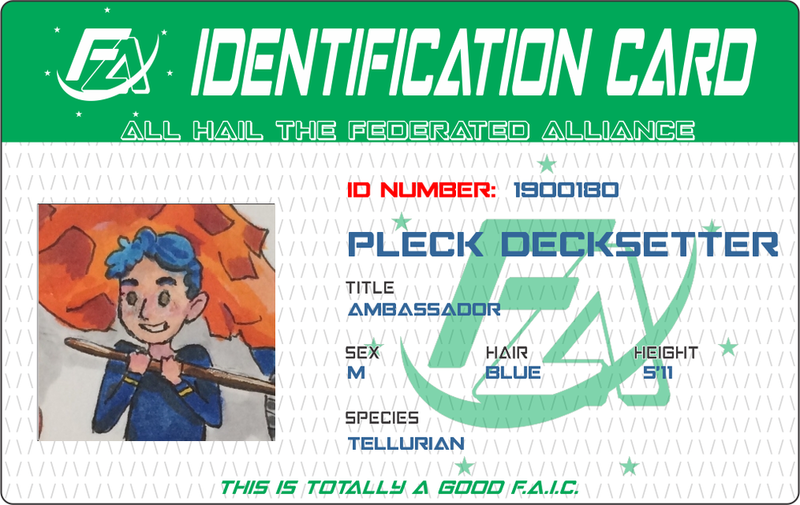 Our elite hackers have infiltrated Federated Alliance databases and have stolen their FAIC generation software, which we have provided here for all rebels. Create your own FAIC and access any C.L.I.N.T.-patrolled areas with ease! Share them with us, your friends, or print one out and keep it on your person, just in case. This fabulous FAIC generator is a labor of love by rad listener TTechGuy! Thanks, TTG!